CEO Tim Cook explained to Stephen Colbert on Tuesday why Apple is giving more to charity than it did under his predecessor, Steve Jobs. "We want to leave the world better than we found it," Cook said during a "Late Show" interview Tuesday on CBS. Cook said he's focused on charity for the same reason he came out as gay last year. 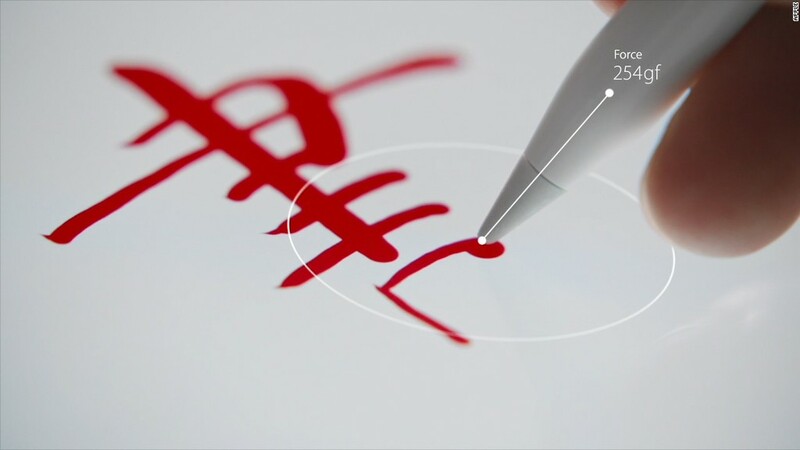 People are suffering, and because of his position at Apple (AAPL), he's able to do something about it. "It became so clear to me kids were being bullied in school, kids were getting discriminated against, kids were even being disowned by their own parents," he said. "I needed to do something." Cook said he asks himself the same question everyday, one originally posed by Martin Luther King, Jr.: "What are you doing for others?" That's why Cook -- a staunch advocate for personal privacy -- has gone public. "I valued my privacy significantly, [but] I felt that I was valuing it too far above what I could do for other people," he said. "I wanted to tell everyone my truth." One audience member, Molly Evans, said she appreciated Cook's openness during the interview. "It's inspiring that he gave up his own privacy to help others," Evans said. Another audience member, Sarah Drake, said: "I thought he was lovely. You have to be a brilliant man to be head of a company like that." Both women clutched their iPhone 6 devices as they spoke. Colbert also asked Cook to comment on rumors about a future Apple car, and the possibility the company will create original content for Apple TV. Cook responded with jokes, but wouldn't confirm any plans. Cook also showed a distaste for upcoming Steve Jobs biopics that show the late company co-founder in an unflattering light: as a brutal, unforgiving and sometimes exploitative executive. Cook pushed back on those portrayals: "He was a joy to work with. I think that a lot of people are trying to be opportunistic, and I hate this. It's not a great part of our world." 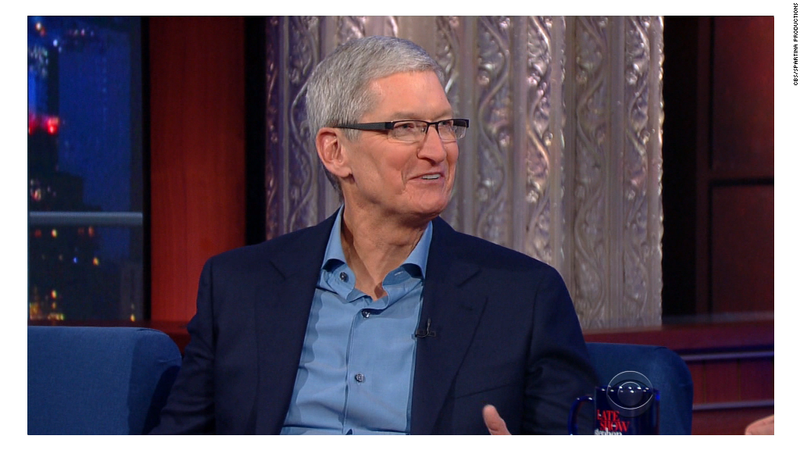 The Apple boss is the third tech luminary to come on Colbert's show since its debut last Tuesday. Last Wednesday, Colbert hosted Tesla Motors CEO Elon Musk. On Thursday, Uber CEO Travis Kalanick made an appearance. During the question and answer portion of Tuesday's taping, which is not typically aired, Colbert was asked which big name in tech he'd like to have on next. An audience member mentioned Facebook (FB) CEO Mark Zuckerberg. Colbert said that would be great. He then jokingly added that he could always bring on Jesse Eisenberg, who starred as Zuckerberg in the Facebook biopic "The Social Network" and "no one would know" the difference.